The Austin Longhorn Club had their pre-Red River Rivalry lunch today. The speaker was originally scheduled to be Major Applewhite, but he had filled in earlier in the year for Manny Diaz. As a result, Duane Akina spoke today. As usual, opening statements were made by Bill Little. Remember, this should be considered a paraphrasing, not a direct quotation. The talk will be on the Longhorn Network at some point if you’d like to see the real thing. The attendance was down a bit at today’s Austin Longhorn Club, but not as much as I had expected given the team’s showing (or lack thereof) the last two weeks. 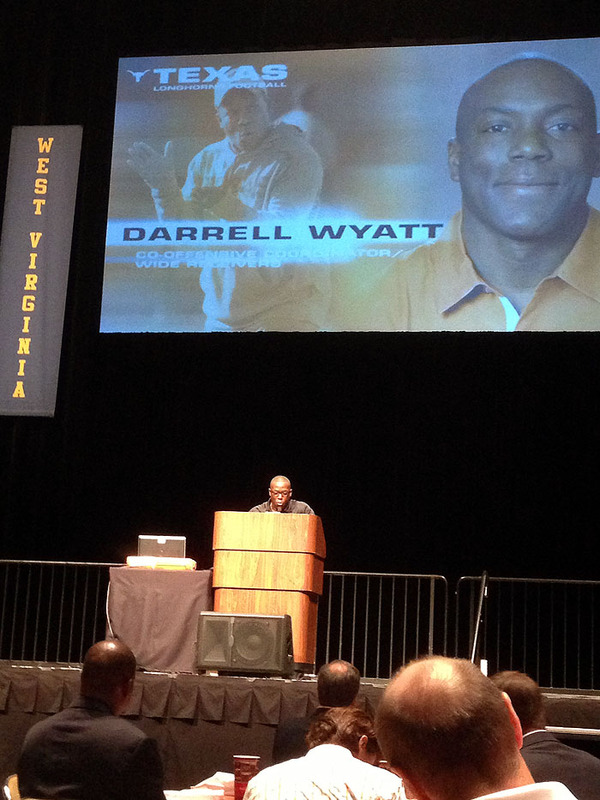 The featured speaker was wide receivers coach and co-offensive coordinator Darrell Wyatt. Notable attendees included DeLoss Dodds and Ronnie Brown. I talked to Ronnie briefly afterwards, and he’s really slimmed down since his playing days. He’s working for the Longhorn Foundation now. I’ve been trying to decide when to put this out there, but with today’s news that Johnny Manziel is under investigation for signing autographs for a fee, I realized that now was the time. 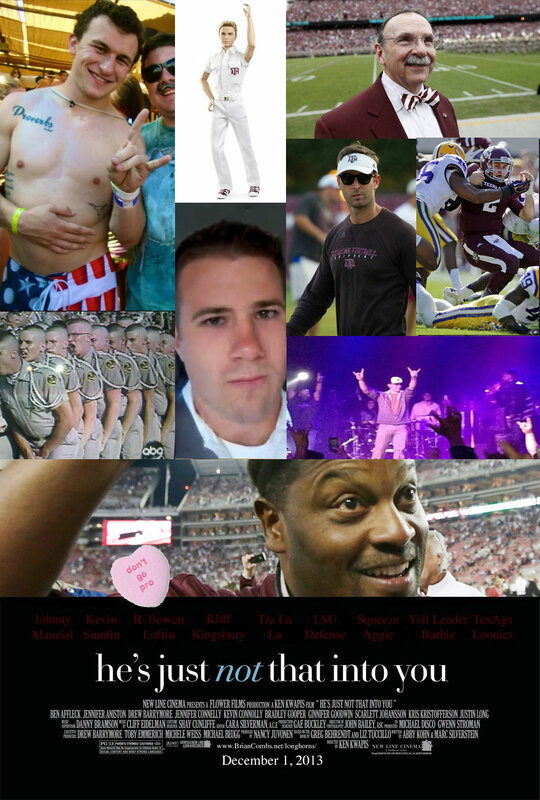 It’s possible that JF won’t be an Aggie too much longer. I’m in New Orleans this week for PubCon Spring 2013. My family came along, so we had Monday to run around the French Quarter together. We ended up at Grand Isle Restaurant for dinner, and decided to sit outside, since there was a nice breeze. 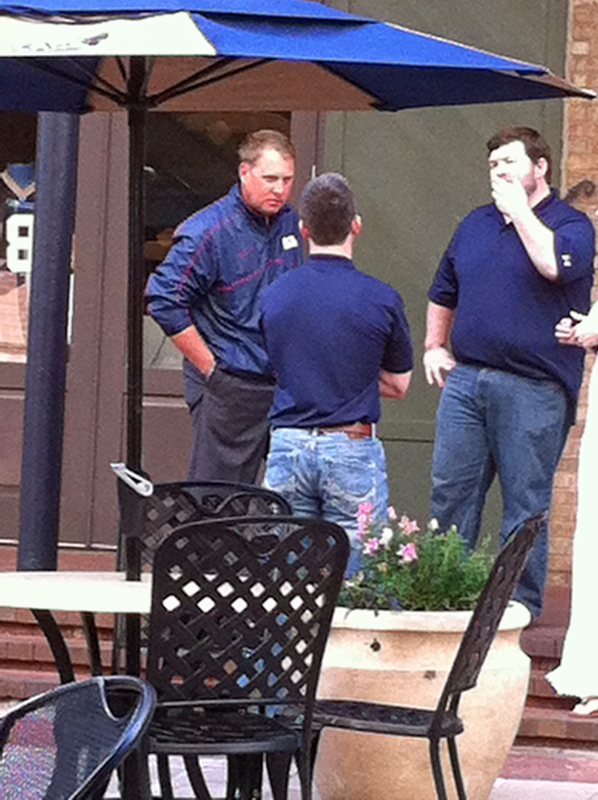 Across a narrow courtyard from us was the sports bar Manning’s, which was hosting an alumni event for Ole Miss. Took some video from my seats at the Wyoming-Texas game Saturday. I’m still trying to decide what my favorite play was, but this is definitely up there. Joe Bergeron looks like he may do will with the Wild Fozzy. He had several nice reads. For several seasons now, a crowd has been gathering to watch the Texas Longhorns walk in to Darrell K Royal – Texas Memorial Stadium before home football games. As the event has grown in popularity, it’s been harder and harder to actually see.